Originally from the Philippines and raised in Chula Vista, Francine Maigue graduated with her master’s degree in Management from Harvard University, her B.A. in World Arts & Cultures with a concentration in Dance Studies from UCLA, and a certificate for completing coursework in Workplace Psychology from the University of Cambridge. 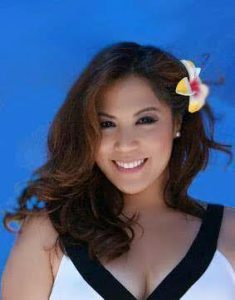 In 2012, Francine was selected as an Inaugural Delegate to the Filipino American Young Leaders Program, and honored with the Filipino American History Achievement Award. In 2015, Francine received the BAYANI “Hero” Award and was named “One of the 100 Most Influential Filipina Women in the World.” After a global search, the Filipina Women’s Network proclaimed Francine “The Face of Global Pinay Power.” Francine is a former President & CEO of the Filipino American Chamber of Commerce of San Diego County and Miss Philippines of San Diego. In addition to her service in government, Francine has led a successful career in the performing arts, dancing alongside legends, like Mikhail Baryshnikov and Jackie Jackson. After achieving High Honors in classical ballet from the Royal Academy of Dancing, Francine trained in a wide range of dance genres from hula to hip hop, Philippine folk to flamenco, tap to tango, to name a few. Francine holds the record for the most wins as the Pacific Coast Talent Champion, a title she was awarded for eight consecutive years for her prowess in dancing. A professional arts educator since the age of 11, Francine’s students have been accepted to some of the world’s most prestigious programs like The Joffrey Ballet and Cirque du Soleil, and appear in concert tours, movies, music and videos. Francine’s work as a dancer and choreographer has won countless accolades, contributed to Emmy Award-winning productions and graced stages like The Kennedy Center, The Lincoln Center, and Seoul Olympic Stadium. Junior Theatre partners with MTI and Disney Theatrical Group on a special pilot production of Moana Jr.